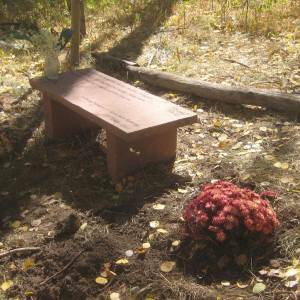 Customers all over the U.S. have chosen to use Bergen Designs memorial benches for cemeteries to help make a beautiful natural looking environment for sitting. 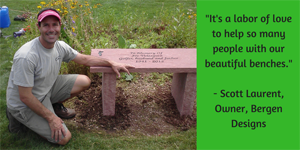 The bench can be personalized to add to the memorial honoring the person who has passed. 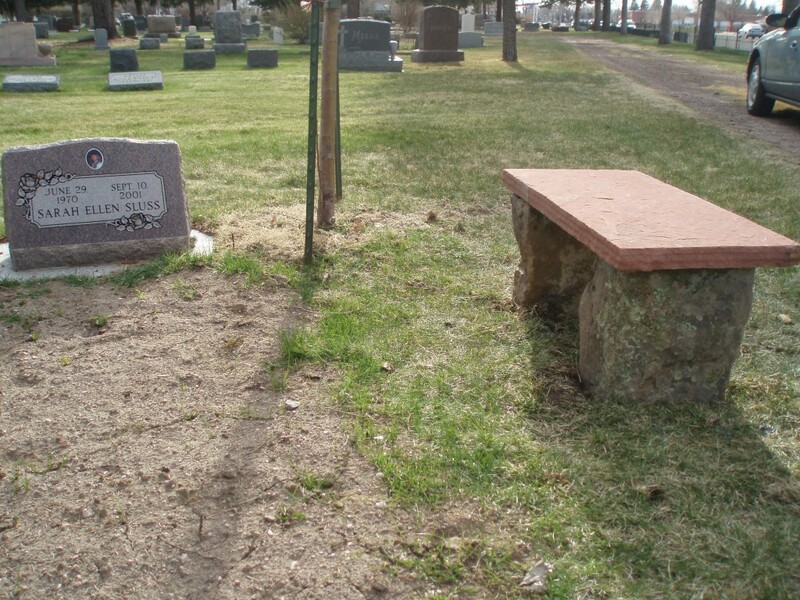 Please check with your cemetery manager to make sure they allow benches made from materials other than granite. 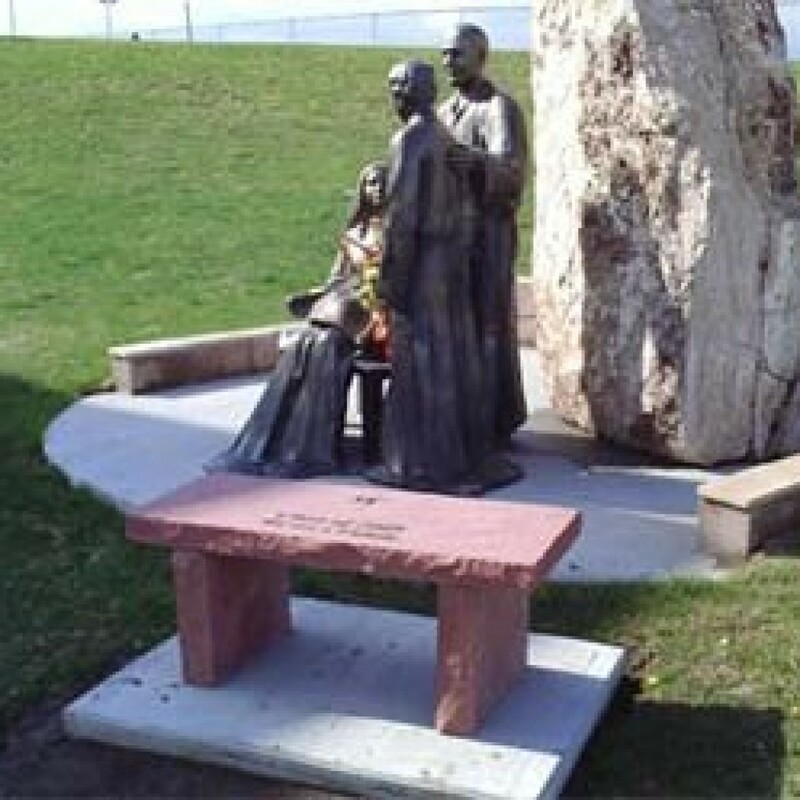 If your cemetery manager is concerned with the durability of our natural stone memorial benches, please share the information here with them. 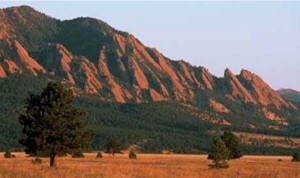 Our flagstone is cut from a mountain in Colorado – and it’s a natural, durable stone. We ship directly to the cemetery with easy instructions for assembly. A concrete pad is not required to put under the bench. We include epoxy and mortar to use with the assembly that creates a permanent bond with the bench top and the bases. There is little or no maintenance required for these beautiful benches once installed. Please check the requirements with the individual cemetery for the bench style that you choose with us. Making a beautiful addition as a marker in a cemetery. Bergen Designs benches stand out looking so much more inviting to sit on than the standard granite style of benches. Easy Installation shown below. It takes less than an hour to complete using the instructions for assembly that come with the bench. The bases are leveled on natural ground and the bench top is ready to set on top. The epoxy used between the bench top and the bases creates a permanent bond. No foundation is needed unless the cemetery requires one. You can see how beautiful and natural our benches help make the sitting area look and so much more appealing than the concrete or granite style benches that others use. 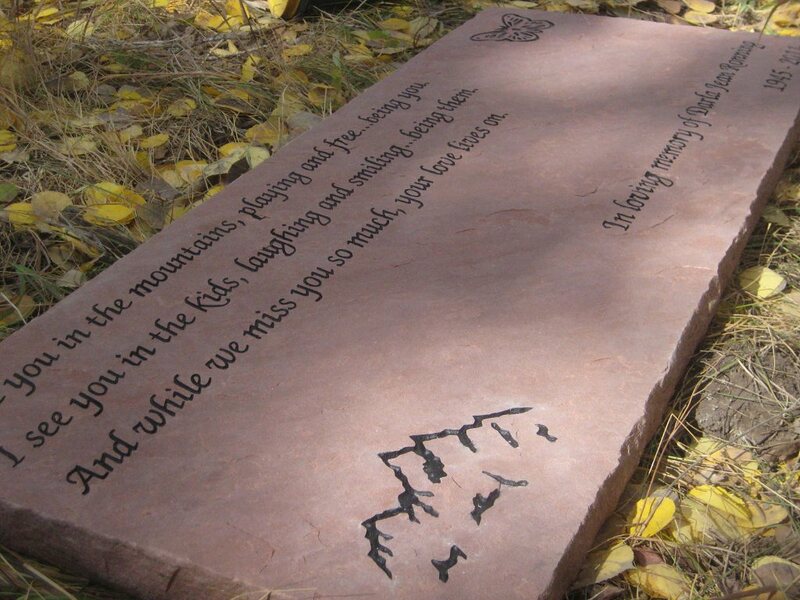 This monument to my wife has meant a tremendous amount to my daughter and I.